A corrupt Earth reaches out to strangle the near-earth stars. The single person who can stop it is Meriel Hope—if only she can remember. Murdered parents. A busted spaceship. Stories that horrified the therapists and terrified the space stations. That’s what pirates left to twelve-year-old Meriel Hope. But pirates didn’t exist, and for the authorities, that meant she’s crazy. After ten years fighting flashbacks, nightmares, and involuntary drugs, she’s put her life back together and her past behind her. 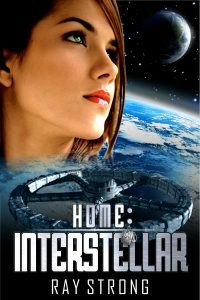 She searches for a mythical planet called Home to reboot her life, but the Wars of Immigration ensnare her in the largest exodus in human history. When her ruined ship lands on the recycle dock, she has only days to untangle the mysteries surrounding her parents’ death or face her own. What she discovers could rescue humanity from slavery, but it makes her a target. And this time she can’t escape.